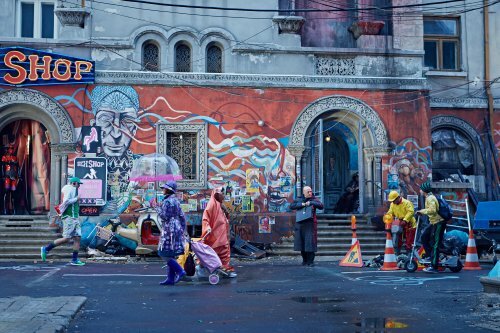 It seems that Terry is back on form with his latest film, The Zero Theorem. It has it all that you would expect from the master of the strange. The world looks like, according to what you can see on the trailer, a mix between twelve monkeys and Brazil. A beautifully filmed extravaganza done on, for today, a shoestring budget of around €10 million. Not only that he has managed to get Sony to release the film here in the UK. A major coup as they may even spend some money on advertising the film. This not always the truth with Terry’s films. I’m sure that you are aware of the live-hate relationship he has had with Hollywood over the years. From the fighting to get, arguably his finest work, Brazil even released and not going mouldy in the can to making one of the biggest flops in history. Even the title cards on the trailer hark back to an earlier era. Even one of the shots in the trailer made me think that he had filmed some of it on the classic “New York backlot“. That wasn’t the case. Just a small section extended in post-production. 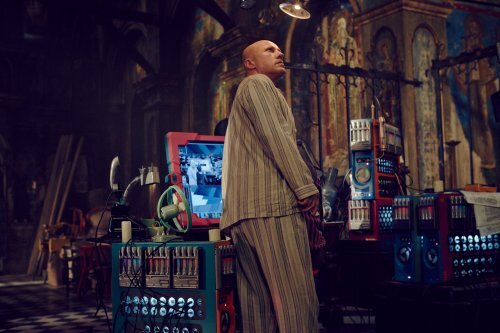 Terry Gilliam’s latest creation focuses on Qohen Leth (Christoph Waltz) a reclusive computer genius living in an undetermined future, who works as a programmer for the Orwellian organisation Corporation ManCom. He resides in an ancient derelict church, awaiting a phone call that will give meaning to his life. When the mysterious ‘Management’ summons him to crack the Zero Theorem, a formula that could answer everything, and the seductive Bainsley (Melanie Thierry) and the turbulent Bob (Lucas Hedges) barge into his controlled universe, Leth’s existence is set to irrevocably change.